The second assortment of Predator 1/18 Scale Figures will soon be released by Hiya Toys. 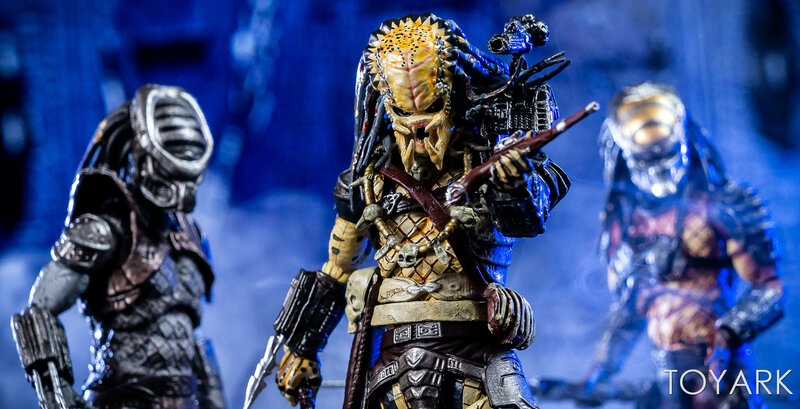 The newest assortment includes three figures inspired by Predator 2. These include the Elder Predator, the Warrior Predator, and the Boar Predator. The figures are part of Hiya’s Exquisite Mini line, which features a high level of articulation and interchangeable parts. Each figure includes an extra set of hands and character specific weapons.If you missed our review of the first wave, you can check that out Here. Our friends at Hiya Toys have sent along the new wave for an advanced look. After the » Continue Reading. The post Hiya Toys Predator Series 2 Figures – Toyark Photo Shoot appeared first on The Toyark – News.